If you have carpet and if you have kids and or pets, you will undoubtedly be looking out for good carpet cleaning products at some point in your life. The better you take care of your carpet from the beginning, the longer you will be able to prolong its life and delay the eventual need to replace it. Though vacuuming is an everyday thing (well perhaps not everyday, but very common in any case), vacuuming alone will not take care of all your carpet cleaning needs. You can opt for professional carpet cleaning once a year. This is a great way to get that deep down dirt and dust mites. The professional cleaners are also an excellent choice for deep pet accidents, spilled wine or other stains and odors. But there are plenty of products you can purchase to clean the carpet of stains and odors and prolong the overall lifespan of the carpet. 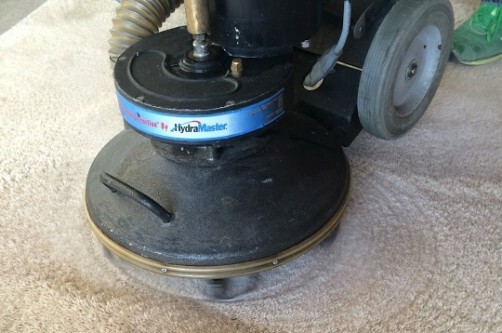 Two important pieces of equipment that will be invaluable in your quest for carpet longevity are the vacuum cleaning and the carpet steam cleaner. There are plenty of inexpensive and cheap cleaners, but this is one area to invest a little time in researching, then investing a few extra dollars to get quality products. Clearly, you can spend a lot on these products. Kirby makes a number of very high end vacuum cleaners, but you don't need to spend this much to get a quality vacuum. Dyson and Hoover make a number of less expensive vacuum cleaners that do not suffer with lower quality. They also make a number of different styles to suit you needs. You can also find decent Sharks, Bissell and Oreck with both quality and competitive pricing. Steam cleaners for your carpet are equally as important. Finding a quality machine that you can use more than once or twice is important. With the dust and grime that gets in the carpets it is a good idea to steam clean them at least every other month, especially if anyone in your family has allergies. Additionally, if you have pets and or kids that track dirt in the house or spill food on the carpets you will want to remove those potential allergens. Bissell and Hoover are two of the top steam cleaners you can purchase for your home cleaning efforts. They are simple to use and do an incredible job. Try the Bissell carpet shampoo, too. They have some specifically designed for pet odors and spot cleaning pet accidents. The fresh smell and the neutralizing effect keep pets from remarking those same spots. For general spot cleaning try diluting Oxyclean. However, make sure you test a small section to ensure it doesn't bleach your carpet unexpectedly. If used appropriately it can remove stains and odors very effectively. Febreeze and Arm & Hammer also make some products for carpet cleaning. Sprinkle these products over the carpet and let them sit to absorb odor. Vacuum them for a fresh clean smell. Most products can do an effective job at cleaning, but with all of them you need to test small sections before using over a larger or more centralized location to ensure they don't bleach or ruin the carpet. The whole purpose of putting the time and attention in to your carpet cleaning efforts is to extend the life of the carpet, so take care to test all new products in a corner or behind a couch where they will not be visible if the alter the color of your carpet. Written by Eric Sappington, owner of Sappington’s Carpet Care, the leading company for carpet cleaning in Columbia, MO has to offer.